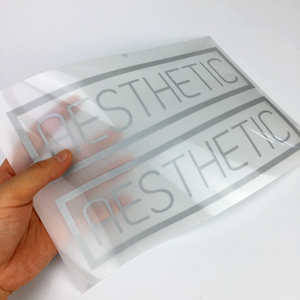 1.Item Information Item Wholesale High Quality Garment Non-woven Wash Label/Satin printing care label/polyester care label Material PVC/ABS/PET/PS/PAPER Size & color Customized size, can be as small as approximately 2&rsquo;&rsquo;X0.75&rsquo;&rsquo; Feature soft, high quality, woven fabric labels B. With a decade of experience, we specialize in producing all kinds of woven label,hang tag,webbing,packing box,silk screen printed label,embroidery badge,woven patch,shopping bag,plastic tag,leather patch,zipper puller,ribbon,PVC label,sticker,rubber etc. Jiefa is an exportoriented enterprise, the products are spreading to North America, South America,Europe, Africa and Asia Pacific countries, such as America, Chile, Sweden, the Netherlands, Russia, Australia, South Africa, Egypt, etc. 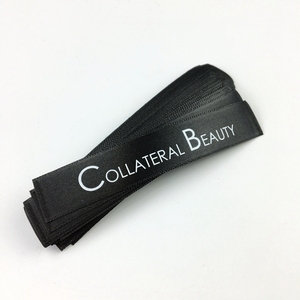 if you provide us with pantone color codes, we can match it in woven labels, printed labels and hang tags. -high quality, logo done by thermal transfer printing. Silk-screen printing Care labels are printed with washing care information. An ultrasonic version of this label is available if softer edges are required. These can be sewn, tacked, adhered, or ironed on . Of course the big quantity is more preferable because we have ability for big orders. 3. Q: What is sample charge9 R: if you want to make samples, we can make it for you free and send you pictures . there will produce some cost for us, which we call it sample charge, but we will return sample fee when you make full order. 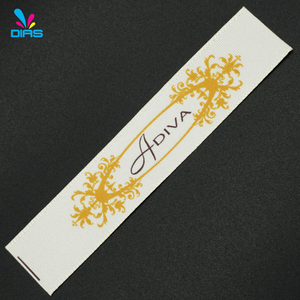 customer's feedback oem design end fold print satin label for garment printed labels are able to achieve those tiny details that woven threads cannot. the most common base material is white satin, although we also offer poly satin blend, heat seal polyester, tyvek and more. 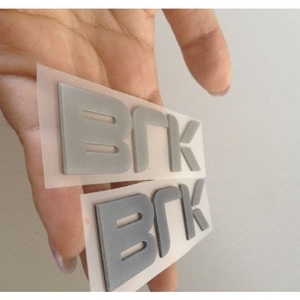 mfl foil transfers are applied in a two steps process, which is different with the application of normal transfers. we can print on just about any kind of material or substrate, from synthetic fibers such as satins and nylons to natural fabrics such as cottons. Leather etc OEM & Design Available Elastic requirement : According to yours Technology: Screen printing M assive production : 4-7 days, according to the quantity Sample: 3-4 days 1 . 3. MOQ-What is the minimum order quantity9 No MOQ 4. Could you please give me the quality sample9 We could offer you free sample to check our quality. 5. How long is the lead time9 Sample lead time:3-7 days Bulk lead time:7 days(depends on order quantity) 6. How do I pay for my order9 We accept L/C ,T/T ,Western Union , Paypal , Escrow . 7 .
we export the goods to europe ,american, australia, etc. just tell us your ideas and we will help to carry out your ideas into perfect gift boxes. view details view details view details view details view details High Quality Washable Fabric Sation Nylon Silk Care Label for Garment Material Satin, cotton, canvas, polyester,non-woven fabric, pvc, paper, etc Size/color Based on customer's requirments Backing Sew-on backing, iron-on backing, paper backing, adhesive backing Feature Soft, eco-friendly, durable, anti-wrinkle, anti-shrink Usage Garment, shoe, hat, handbag, suitcase and other home textile product Lead time Sample time: within 3 days Mass Production time: 5-10 days or based on your quantity Our advantages 1. best service 2. free design 3. no moq 4. high quality and low price Pictures show Usage picture Packaging & Shipping Hangzhou Ouhong Garment accessories Co. , Ltd is one of the professional garment accessories supplier in Hangzhou, Zhejiang, China, enjoying high reputation at home and abroad. We can service many kinds of garment accessories, including Hang Tag Printed, woven label,hang tag, care/washing label, rubber &leather patch, embroidery patch, shopping bag, plastic tag,sticker and so on. that's right, each personalized laundry labels is personalized. label description china best laundry label maker,high quality laundry tags for clothes,personalized laundry labels . Xiamen Dili Garment Accessories Co., Ltd.
, Size and color Customized according to client's requirements, CMYK & pantone color Yarn Available 50D,75D,100D,150D and etc. Edge Weaving or ultrasonic with smooth and soft edge Feature Eco-friendly,washable, durable, colorful etc. Minimum QTY 1,000 pcs Border Hot cut, laser cut, ultrasonic cut or weaving Backing Sewn on, plain, iron on, paper backing, non-woven fabric, pressure-sensitive adhesive, Heat seal, double adhesive tape, etc. 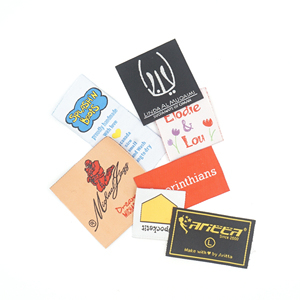 wholesale direct factory high density woven label. 'high quality, competitive price, fast delivery, long-term warranty, faithful services,and prompt response' is our principle to our all clients in business. we provide professional advice for customers to improve product application. lok mei has factories in hong kong, zhejiang, shenzhen, jakarta, bangaldesh. one label is the small and cheap but it decide the value and image of the brand! Alibaba.com offers 1,221 high quality clothes printed care label garment products. About 80% of these are garment labels, 1% are men's t-shirts, and 1% are ribbons. 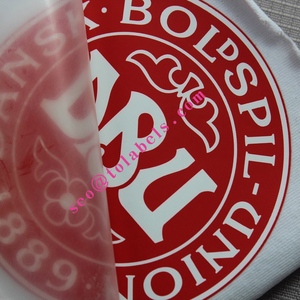 A wide variety of high quality clothes printed care label garment options are available to you, such as bags, garment. You can also choose from eco-friendly, washable. As well as from cloth, rubber, and leather. And whether high quality clothes printed care label garment is main labels, or care labels. 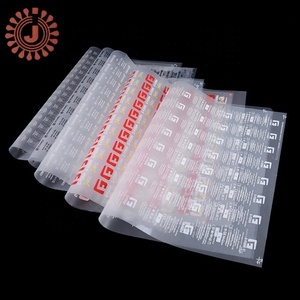 There are 1,141 high quality clothes printed care label garment suppliers, mainly located in Asia. The top supplying countries are China (Mainland), Hong Kong, and Taiwan, which supply 99%, 1%, and 1% of high quality clothes printed care label garment respectively. High quality clothes printed care label garment products are most popular in North America, Western Europe, and Domestic Market. You can ensure product safety by selecting from certified suppliers, including 206 with ISO9001, 128 with Other, and 94 with ISO14001 certification.